I was thinking about the word restoration. The simple definition of this word is to bring something back to its original condition. However, I don’t merely want to be restored back to the way I was. I want to move beyond restoration and grow and mature into someone stronger and better. I want to be new and improved. I’m fairly new to the world of social media. There are some people that I lost contact with over the years and have reconnected with via Facebook. A lot of these are friends of mine from Bible School, and I’m enjoying seeing what they’re doing now–20 years later. One of these friends suffered a horrible tragedy just a year after we graduated. He and his wife met during the Bible School year, fell in love and had a fairy tale wedding. They were made for each other as they complimented one another beautifully. Just three weeks before their first wedding anniversary, while she was five months pregnant, the van they were riding in was struck head-on by a drunk driver. The van door slid open, she was thrown out and was killed along with the unborn baby. I spoke to him a few weeks after the accident, and he kept saying, “Rebecca, heaven is so real to me now. I want nothing more than to be finished with life and join my wife and baby in heaven.” I saw him a few months later while he was still grieving but trying his best to put his life back together. I heard a few years after that he met someone else and remarried, and I lost touch with him. I found him on Facebook. To my great delight I discovered that he is the founding pastor of a wonderful church. I downloaded a few of his messages and was so blessed to hear happiness in his voice. He is not the same man. He’s not even the man he was before the accident. He’s so much more. 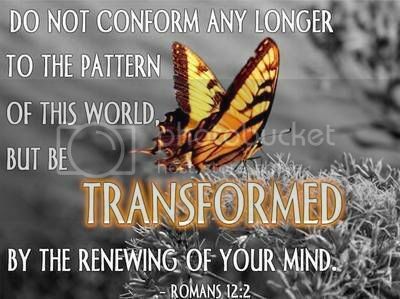 I was trying to think of a good word to describe the change in him, and it camed to me–transformed! I really believe that the LORD is in the transformation business, and we have a tremendous opportunity to join with him in this venture of His. Many of us long to experience the LORD moving and working in the full manifestation of His power, and all it requires of us is to humble ourselves and pray and seek His face, turn away from our sin, and then He will hear us and come and heal our land. True intimacy with God begins when we humble ourselves and cry out to God in prayer. May God pour out a spirit of grace and prayer upon us, so that our hearts and His heart can join as one. Then we will see transformation not only in ourselves, but in our nation. Now is the time of the Biblical feast of Shavuot. Shavuot is the Hebrew word for weeks, and this feast marks seven weeks from Passover. Jews count the 50 days between the commemoration of the Exodus and the time when they gathered at the foot of Mt. Sinai to receive the Torah and entered into a covenant with the Most High God. This celebration is the second of three days Jewish people are commanded to gather before the LORD in Jerusalem to celebrate and rededicate themselves to the covenant. The first day is Passover, and the third day is the Feast of Tabernacles. Why did God command that they gather in Jerusalem on particular days? Simply so that they would be there when He showed His great love and compassion in the fulfillment of these important feasts. As they traveled to Jerusalem they prepared their hearts and were full of expectation hoping for the Messiah. As they traveled, many prayed throught Psalms 120-134 (the songs of ascent). Read through all of these in order non-stop. It’s awesome that in Psalm 120 the focus is on daily troubles and by the time you get to Psalm 134 all focus is on the LORD. The third day, Sukkot (Tabernacles), will be the prophetic fulfillment of the gathering of all nations to Jerusalem and the advent of the Millenial Kingdom. This is yet to come; however, these days are times when we are to be full of expectation and anticipation of God’s faithfulness to His covenant. God’s heart is longing to pour out His love and compassion, and He is waiting for His people, Jew and Gentile, to turn their hearts to Him, and then there will be a convergence of His heart and our hearts joining as one. This is my prayer for you, and for Jerusalem and the Jewish people…for another mighty outpouring of the Ruach Ha-Kodesh (The Holy Spirit) to open hearts to receive all that Jesus accomplished, and that Jesus would be the recognized Messiah!